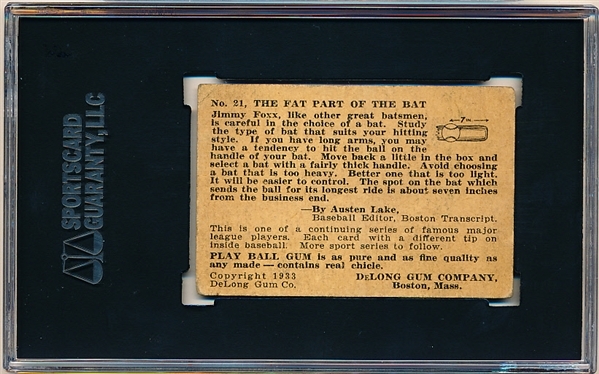 1933 DeLong Gum Co. Bb- #21 Jimmy Foxx, Phila. 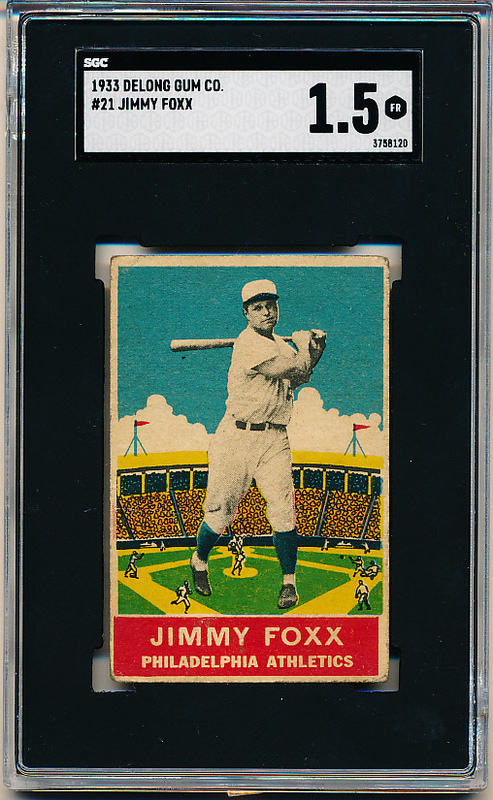 A’s- SGC 1.5 (Fair)- 75/25 centering- Hall of Famer! Nice color- clean back.